Download construction detail of ceiling with channel, angle as well as concrete view with wall view and view of screw mounting in concrete. All these drawings are available in autocad dwg format. In this revit video tutorial, one can learn how to use Revit Architecture 2018 to generate stair through by components and by sketch. Also learn how to rectify stair, insert railing, use materials. To start with go to Architecture tab and then circulation panel and click on stair. Now click on create sketch icon if you want to create stair by sketch or click on component icon it you want to create stair by component. • About Stair by Component: To produce a component-based stair, choose a stair assembly edit mode to insert common and custom sketched components. 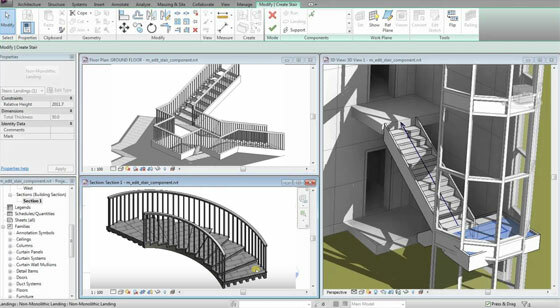 • Stair Run Components: While forming stairs, produce a common run component in a plan or 3D view. • Generate a Landing Component by choosing Two Runs: Make a landing among 2 runs in a stair assembly. • Generate a Support Component: Apply the Support tool to include a side support to a component-based stair. • Generating Stair Components by Sketching: While making a stair assembly, produce a custom run or a landing component by sketching the shape. • Adjusting Stair Components: While making a stair by components, it is possible to adjust the individual components of the stair, along with the runs, landings, and supports. It is also possible to modify the whole stair, like rectifying the stair type or the location. • Stair Documentation: One can adjust the demonstration of a component-based stair, along with the symbolic representation, annotation, and graphic display. • Stair by Component Properties: It is possible to alter type properties and instance properties for the stair components formed with the Stair by Component tools. Watch the following revit video tutorial, to get more details. In this AutoCAD video tutorial, you will learn how to perform 3D practice drawing in AutoCAD 2018. • Text settings: Generate single or multi-line text (mtext) as a single text object as well as format the text, columns and boundaries. 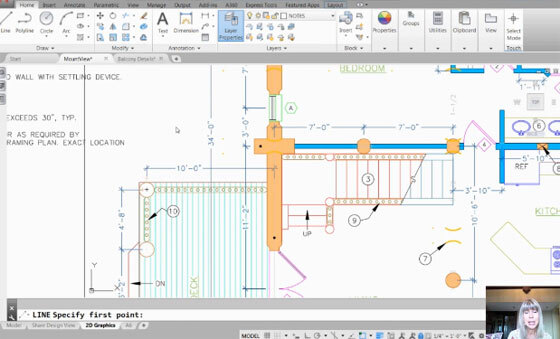 • Smart dimensioning: Automate the process for making dimensions. Move the cursor over chosen objects to have a glimpse prior to form it. • Leaders: Produce leaders with diversified content, along with text or blocks. Format leader lines and define styles with some easy to follow process. • Smart centrelines and centre marks: Generate and edit centrelines and centre marks to be progressed automatically if you shift the related objects. • Tables: Make tables containing data and symbols in rows and columns, employ formulas and link to a Microsoft Excel spreadsheet. • Revision clouds: Draw revision clouds around new changes in a drawing to make out your updates instantly. 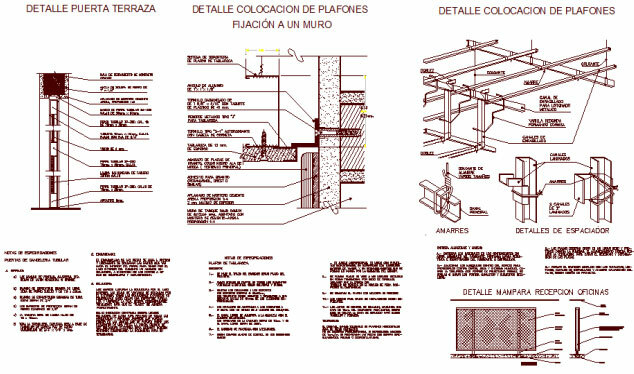 • Layouts: Indicate the size of your drawing sheet, include a title block and demonstrate multiple views of your model. • Layout viewports: Generate layout viewports to present various components of your design at changeable scales. • Fields: Apply fields in text objects to demonstrate text that will be updated automatically when the field value modifies. • Data linking: Facilitate concurring updates with formation of a live link among a Microsoft Excel spreadsheet and a table in your drawing. • Data extraction: Extract information from objects, blocks and attributes, along with drawing information. • Parametric constraints: Use geometric and dimensional constraints to retain relationships among drawing geometry. • Express tools: Extend the power of AutoCAD with a collection of productivity tools. MagiCAD Schematics, a new schematic design module that can perform in synchronisation with Revit models. By linking, mapping and synchronizing the schematics with the model, it enables better design workflow and ensures that data is everywhere the same and within the Revit environment. It produces perfect schematic diagrams on Revit technology. 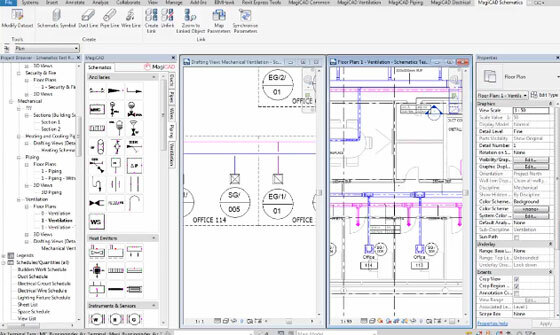 MagiCAD Schematics allows synchronisation and data sharing among the schematic drawings and the model. Besides, generating schematic drawings, it also connects symbols in the schematic drawing with the subsequent devices in the project, and synchronises parameter values among the symbol and the device. 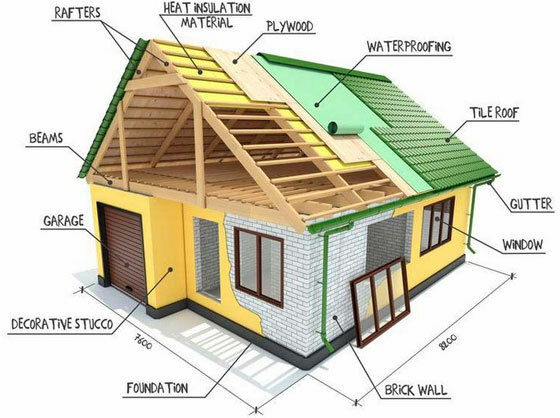 If the property values are synchronised among symbols and devices, the information remains updated during the course of the project in diagrams, plan drawings, etc. MagiCAD Schematics saves huge time of the designers and accelerates project delivery by arranging ready-made, localised symbol libraries in Revit. Custom symbols or lines and templates with parameters provide a new level of flexibility for project setup. Besides, MagiCAD Schematics produces drawing seamlessly via an user-friendly tool palette for line drafting and drag & drop placement of symbols. MagiCAD for Revit and AutoCAD facilitates world-leading, data-packed Building Information Modelling for HVAC and electrical design with rapid and user-friendly tools. The new MagiCAD Schematics module for Revit makes the process simple to set up symbols into the schematic drawing and preserve symbol definitions into the dataset. The symbol definitions facilitate you to determine parameters with default values contained in the family when the symbol is set up. Symbols are arranged to user-configurable groups to produce the perfect symbols which are available in the new symbol installation tool palette. To set up symbol and line drawing, just drag and drop the symbol to the schematic drawing from the tool palette. Watch the live demonstration of MagiCAD Schematics module for Revit by going through the following video. Lynn Allen, presents this exclusive cad video that demonstrates how to control the object snap behavior when it connects to hatch patterns and extension lines in AutoCAD. Have you ever tried to grab the endpoint of an extension line instead of the anticipated object, or grab the seperate objects in a crosshatch pattern, then this AutoCAD video tutorial is ideal for you. To install custom hatch patterns into AutoCAD, follow the steps, given below. Copy your hatch pattern PAT file(s) into the default Support folder that AutoCAD employs to locate hatch patterns. The default path is mentioned in the Support File Search Path list under the Files tab in Options. It is normally the first one displayed. It is the one that goes to your user folder. Watch the following youtube video for getting more information. Given below, the detailed lists of best free 3d modeling software which can be used for animation, sculpting, visualization, simulate and ender graphic designs. Wings 3D Modelling Software: It is a free open-source subdivision modeling software that contains extensive lists of selection and 3d modeling tools. It provides support for lights and materials, and an in-built AutoUV mapping facility. The software is compatible with Windows, macOS and Linux. Sculptris: It is a virtual sculpting software program developed by Pixologic. The software is ideal for sculpture and used to create organic models. Sculptris is developed to work seamlessly with ZBrush. While choosing the “GoZ™” button in Sculptris, your whole mesh will be transmitted to ZBrush. Open SCAD: OpenSCAD is a free software that is frequently used for producing solid 3D CAD objects. This simple 3d program is compatible with Linux/UNIX, MS Windows and Mac OS X.
Daz Studio: It is a robust and free 3D creation software tool that can produce stunning 3D art for 3D artist or 3D animator. With in-built file export capabilities, all of your Daz 3D contents are easily imported into other leading 3D software tools like 3DS Max, Mudbox and Maya. Export formats consist of Autodesk FBX, COLLADA, OBJ, BVH and Universal 3D. 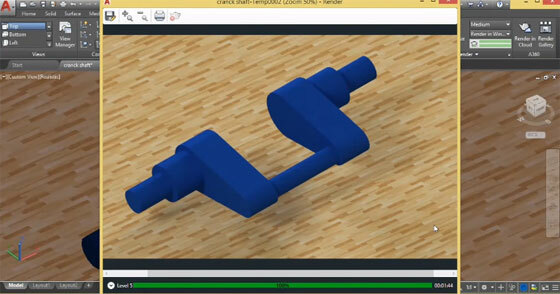 AutoDesk 123D: AutoDesk 123D includes a series of CAD and 3D-modeling tools. AutoDesk 123D also supports the 3D printing technology. It comprises of different tools to generate, design, and render 3D models. There are over 10,000 free 3D models to be utilized in personal projects. AutoDesk 123D supports Windows, macOS, iOS, Android (soon) platform. 3D Crafter: 3D Crafter is a free real-time 3D modeling and animation tool that integrates an inherent drag-and-drop approach to 3D modeling. The software allows you to import 3D file formats for some leading software like 3D Studio, AutoCAD, Maya, trueSpace, DirectX and more. All the complicated models can be developed from simple 3D primitives, or produced with 3D Crafter’s Shape Building Tools. Modeling tools can be applied to deform, sculpt, and paint 3D shapes. 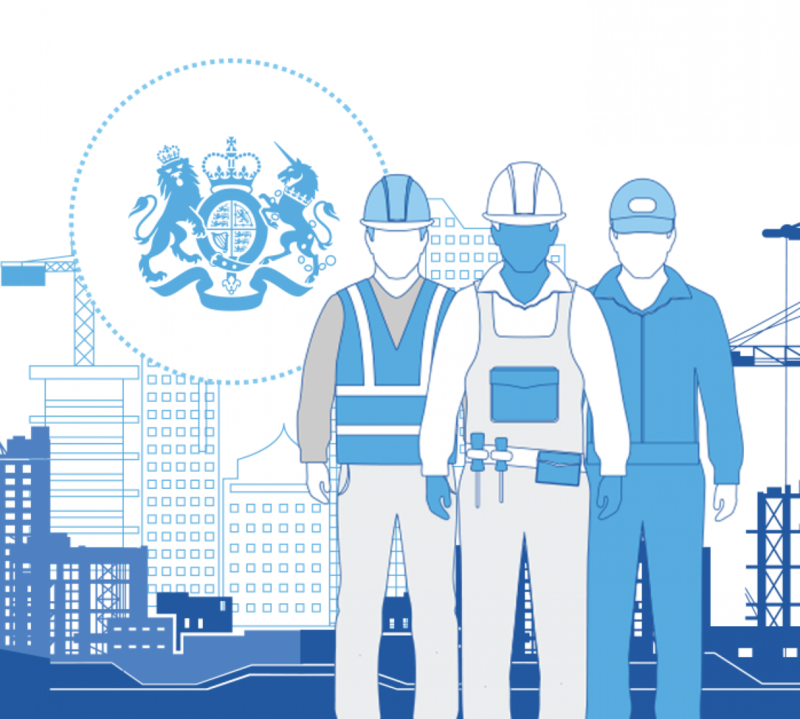 Bentley System launched OpenRail design and maintenance software to apply BIM for the broad planning, engineering, project delivery, and operations of rail and transit infrastructure. It deals with vertical and horizontal track geometry as well as produce 3D models for analysis and visualization and reports for cost estimates and setting-out, and product construction deliverables. OpenRail will get together digital components and digital context, during digital workflows. OpenRail applications will consist of OpenRail ConceptStation which can be used for conceptual railway planning and design. In future, OpenRail Designer will be accessible for detailed engineering and 3D design of track, overhead line, tunnels, bridges, and interrelated civil infrastructure and AECOsim Station Designer will be applicable for the comprehensive modeling of rail and transit stations. OpenRail is developed on the basis of a connected data environment that includes the shared services of ProjectWise and AssetWise, as configured particularly for rail systems engineering workflows. Throughout project delivery, ProjectWise allows the collaboration between distributed engineering teams, coordination of structured workflows, and connected project visibility. For OpenRail, AssetWise delivers asset lifecycle information services for linear, network and geospatial referencing, corridor maintenance decision support, inspection workflows, and reliability and change management. OpenRail CDE services contain Components Center for digital components, ContextShare for digital context, ComplyPro for progressive assurance, and ConstructSim Completions for accessing operational readiness. Components Center is an Azure cloud service of libraries which arrange, across disciplines and applications, the semantic content of catalogued components, potentially including vendor data, fabrication details, component requirements (for example, electrical specifications and connections), reliability characteristics, and representational views necessary for documentation (as for instance, 3D, plan, schematic). A digital component is reprocessed across BIM workflows in design modeling, analytical modeling, construction modeling, and asset registries—from catalogued component, to engineered component, to installed component, to operated component.